Access Health Care Physicians is proud to announce that the National Committee for Quality Assurance (NCQA) has stated that Syed Wajahat Ali, MD, FACP, MRO (Fellow of the American College of Physicians, Medical Review Office Certification) and Seema Nishat, MD, FACP, have achieved NCQA Level 3 Patient-Centered Medical Home Recognition (PCMH) for using evidence-based, patient-centered processes that focus on highly coordinated care and long-term participative relationships. Drs. Ali and Nishat have achieved recognition as a Level 3 patient-centered medical home. 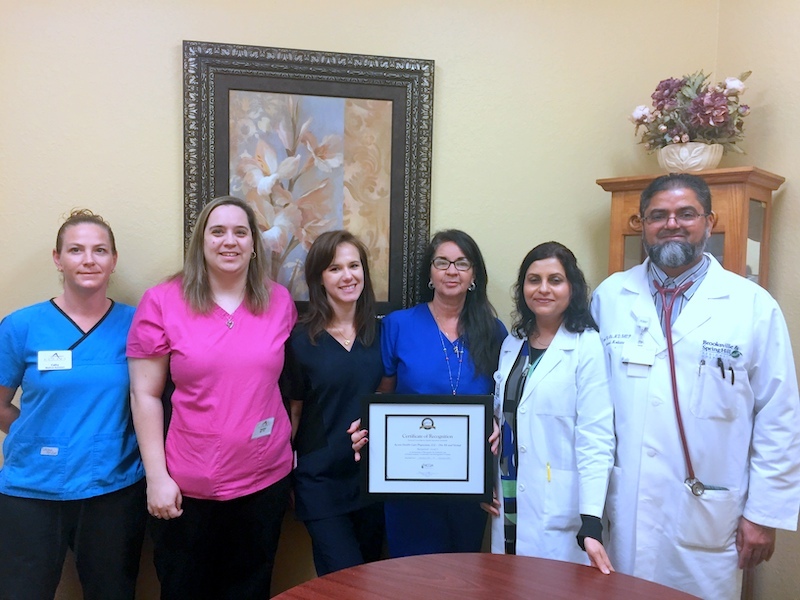 The office of Dr. Ali and Dr. Nishat is located at 11451 Cortez Boulevard, Brooksville, Florida 34613. Call 352-797-9677 to schedule an appointment. Dr. Ali is board certified in internal medicine and certified as a medical review officer. Dr. Ali relocated to Florida in 2002 from Rockford, Illinois. He completed residency in internal medicine at Cook County Hospital in Chicago and received his MBBS (Bachelor of Medicine, Bachelor of Surgery) at the prestigious Osmania Medical College, Hyderabad, India. Dr. Nishat also relocated to Brooksville from Rockford, Illinois, where she served as Chair of the Department of Medicine in the in-patient practice at Swedish-American Hospital in Rockford, Illinois. She is board certified in internal medicine. She completed her residency at Cook County Hospital in Chicago, Illinois, and also received her MBBS (Bachelor of Medicine, Bachelor of Surgery) at the prestigious Osmania Medical College, Hyderabad, India. To earn recognition, which is valid for three years, Drs. Ali and Nishat demonstrated the ability to meet the program’s key elements, embodying characteristics of the medical home. NCQA standards aligned with the joint principles of the Patient-Centered Medical Home established with the American College of Physicians, the American Academy of Family Physicians, the American Academy of Pediatrics and the American Osteopathic Association.